When it comes to Service Desk automation, commitment to the customer experience leads to a need for a cultural, functional, and technical shift. Why are customers and your staff still frustrated? Your Level 1’s are bored, your Level 2’s and 3’s are overwhelmed, and your customers aren’t having their needs met. 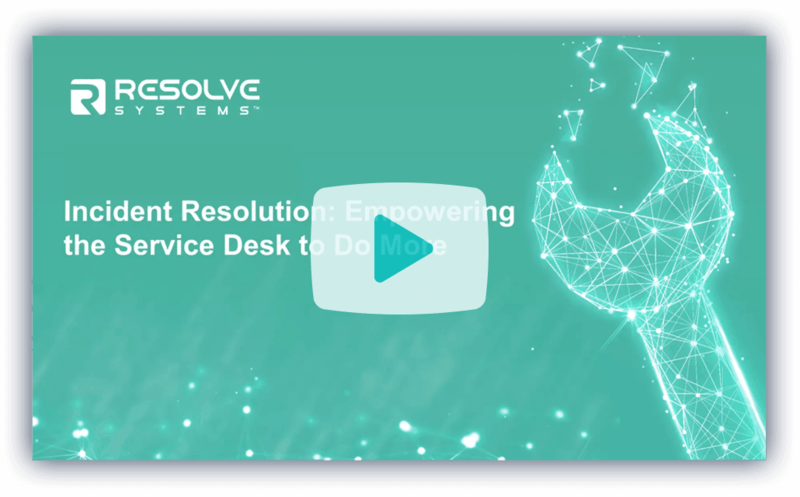 This on-demand webinar discusses how incident resolution empowers service desks to be more efficient while improving job satisfaction AND customer experience. Click on the image below to launch the webcast.